Bible for Kids is a free school holiday activity for children aged 5-10 years. It is a 2 hour fun filled afternoon based on stories of Jesus from the Bible. Parents are welcome to stay or leave children in our care. If preschoolers are attending we ask that parents stay with them. 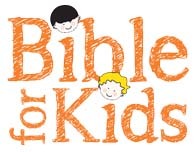 Bible 4 Kids is run by VIT registered teachers and WWC approved helpers. Bible for Kids event for July was an exciting event enjoyed by all. From a realistic model display to stepping out the size of the ark on the football oval. the total length of the ark (140 metres) went from the goalpost at one end to the goalpost at the other end. we also enjoyed the telling of the story and many activities and songs..
email: bible4kids@howsyourlife.org or leave your contact details below..